If you are planning to do some remodeling during the summer months, you may want to consider installing high-efficiency toilets. 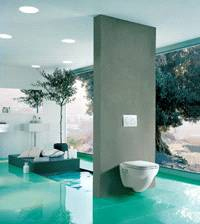 According to the EPA the toilets below can save you as much as $ 170.00 per year off your water bill. According to the Environmental Protection Agency's WaterSense program, each U.S. household could lower its annual water and sewer bill by as much as $170 by installing a high-efficiency toilet. Visit www.epa.gov/watersense for a list of WaterSense-approved toilets, or try other low-flow models listed here. With a contemporary design and low profile, the Prestigio 4 is attractive both for its style and water efficiency. 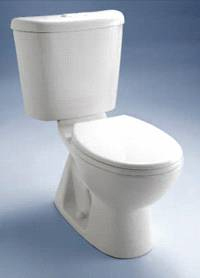 The one-piece, pressure-assisted toilet uses just 1.1 gallons of water per flush. The maker says the water savings can qualify most buyers for water conservation rebates. 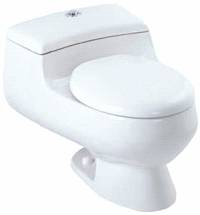 Other features include the Sloan Flushmate IV flushing system, SmartClose toilet seat, a push-button actuator, and three color options. Offering the lowest water use of any toilet in America, according to the maker, the Sydney Smart dual-flush toilet uses just 0.8 gallons per flush, with an optional larger flush of 1.28 gpf. One of 36 WaterSense-approved toilets in the Caroma line, Sydney Smart is available in white or biscuit in 305 and Easy Height models. Go clean and green with the Concealed Tank Carrier System, which hides the steel frame for wall-mounted toilets behind the wall, leaving only a dual-flush actuator visible. Raising the toilet off the floor helps yield a bathroom that's aesthetically cleaner, and a floor that's easier to keep free of moisture and grime. 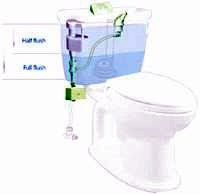 The dual-flush technology uses 0.8 or 1.6 gallons per flush, and meets all requirements for high-efficiency toilets. A quick retrofit can help homeowners save up to 50% of the water used in almost every flush of the toilet, the maker says of its Ecoflow dual-flush fixture. Ecoflow components inside and outside the tank connect to a two-button fixture that sits on top of the tank. Homeowners will use the half-flush button most often, and can use the full-flush button when necessary. The unit will run for as long as a year on two AA batteries.